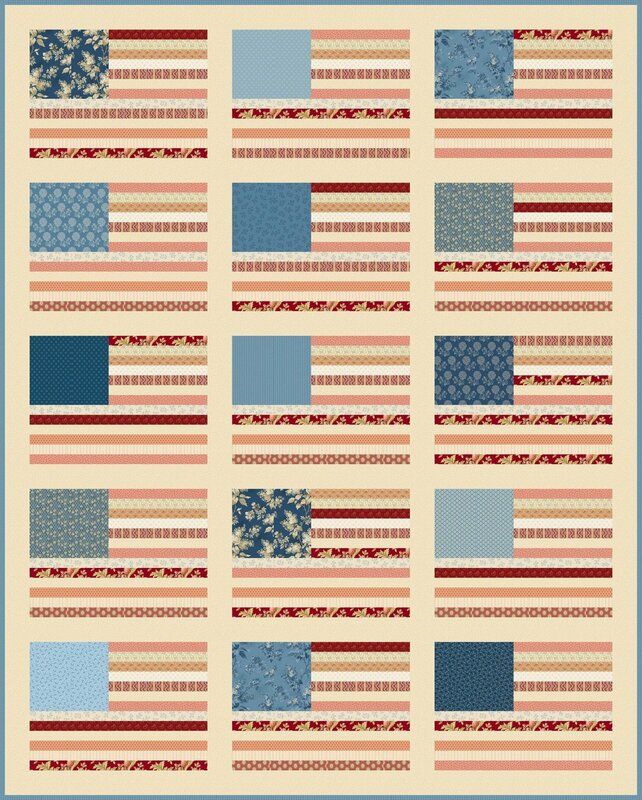 Kit includes the pattern, fabric for quilt top, and fabric for binding. This is a digitally generated picture. Actual fabrics in kit are mostly prints from Laundry Basket Quilts, with a few substitutions.